It doesn’t matter where I am, whether it’s a backyard barbecue or a school drop-off and pick-up run, people lately have been asking me the same thing. What’s going to happen to property markets in Australia this year? The answer isn’t a simple one because there are many factors at play that will impact real estate in 2019. Interest rates. Population growth and movements. Supply. Demand. Banks and the Royal Commission. And, of course, that federal election is just around the corner. 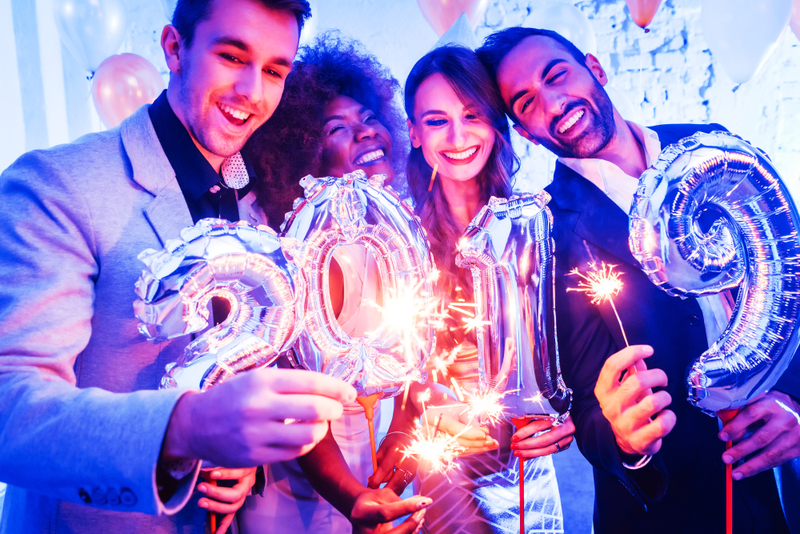 I’ve pulled out my crystal ball – which actually resembles a spread sheet and clippings of expert analysis and monetary policy reviews – to offer my top predictions for property investors in the coming year. There’s no doubt that Sydney has weathered the worst of the values storm during the past 18 months, with property prices in the Harbour City softening more than anywhere else in the nation. Depending on who you talk to, you’ll get a different answer for when the downturn is likely to end. Some think there’s another year or more in it. Others believe the clouds are beginning to clear already. My view is that past the middle of the year, activity will generally begin to plateau before a new period of growth. The simple fact of the matter is that supply will stabilise. Those who don’t need to sell will hang on, and by mid-year, there will be fewer people under pressure to offload investments. In addition, developers have been spooked for the best part of a year and the pipeline of new dwellings is looking much emptier than it has been in a long time. On the other end of the economic scales, demand will lift as first-time buyers are lured by lower prices and up graders seize the opportunity to get a bigger and better home for a significant discount. Add into this a strong employment numbers and Sydney’s attraction of new residents, and you’ve got a good equation for price growth. Until then, savvy investors will have the chance to buy good quality property for a lower price and with much less competition. The next six months present a great time to get in while the going is good. Australian expats almost always return home at some point. As the iconic Peter Allen song describes, no matter how far and wide they roam, these world travelers always have a place in their hearts for their homeland. And when you’re sitting in a expensive, cramped and dreary shoebox in London or New York in the midst of winter, reading about big price reductions on Sydney property is a huge lure. Last year we saw the start of expert commentary about an influx of returning expats, particularly to Sydney and Melbourne. They’re on their way and they’re only going to keep coming, so watch this space in 2019. While nothing is a certainty in politics, particularly in this bizarre modern era, all polling signs point to a Bill Shorten-led Labor victory at the upcoming federal election. This election, more so than any other in the past decade, will have implications for property investors. Labor’s policy on negative gearing is one to acquaint yourself with. So too is its taxation plan for retirees. And we can be sure of more tweaking to superannuation, and particularly self-managed super fund investments, if/when they take office. I suspect there will be a flurry of activity in the months before the election, as would-be investors add to their portfolios to take advantage of the grandfathering clause in Labor’s negative gearing changes. Essentially, landlords won’t be affected by their changes before they’re legislated, so I see a whole bunch of buyers getting in prior. If nothing else, the uncertainty caused by the political landscape in Canberra will create buying opportunities and a flurry of activity. The recommendations of the long-running Royal Commission into the banks will make waves. Lenders will begin a period of soul-searching and self-reflection, as they work to implement a raft of changes. They will pull up their socks and be more prudent and responsible when it comes to lending. They will more carefully look at how they’re doing business. They will focus on being good corporate citizens and valuing customers. There’s a lot of talk about the post-Royal Commission period and how it will make getting finance even harder. I agree to some extent although with one caveat. Lending restrictions have already been implemented since the inquiry began and the fallout has been swift – particularly in the already softening Melbourne and Sydney markets. Banks need to do business. They need to turn a profit. People want to buy homes and need a bank’s help to do it. Also – finance lubricates the economy and keeps the wheels of commerce turning. Those at the top of the political and regulatory tree have seen the pain and are making moves that will, once again, free up finance. I predict we’ll find a more harmonious middle ground between better regulation and easier credit will be found. Interest rates are very, very unlikely to increase this year. Almost all economists agree that the Reserve Bank will probably sit on its hands in 2019, due to economic conditions, stagnant wage growth and the state of property markets. I predict we could possibly even see another slight reduction in interest rates towards the end of the year. The fiscal mood is right for one and really, something’s got to give. A reduction could be just the kick in the pants the economy needs. It has always been the case that there is no one property market in Australia. There’s not even a single market in Sydney, Brisbane or Melbourne. Property price growth is on a suburb-by-suburb level. And in many cases, it’s street-to-street. I predict this will be increasingly the case in 2019, particularly as the recovery commences in Sydney. Some pockets will plateau earlier than others, while some may see an extended period of softening. Some suburbs will boom quickly. Some will see a mixed bag of fortunes – certain neighbourhoods performing well while others struggle. More than ever, I think, prospective buyers will need to do their homework and very carefully assess every single element of a deal they’re considering. The dwelling type, current and future residents, demographic changes, gentrification, infrastructure investments, changes and predicted shifts in demand, opportunities for manufactured capital growth… that’s just for starters. 2019 will still be a year of opportunity but there are challenges as well. It highlights the importance of enlisting the help of experts to guide the many possibilities and to consider the plethora of decisions to be made. A buyer’s agent who is properly qualified and has a proven track record is the way to go. If you’re keen to participate in real estate this year, make sure you call our team and discover how having us in your corner will be a winning decision in 2019.